Super cute! That stool looks so furry and comfy. Love it! Gail, what a great idea! I am loving this and so affordable. When looking on any home decor picture you see those stools all the time. I am pinning this to make me one. Thanks for sharing. 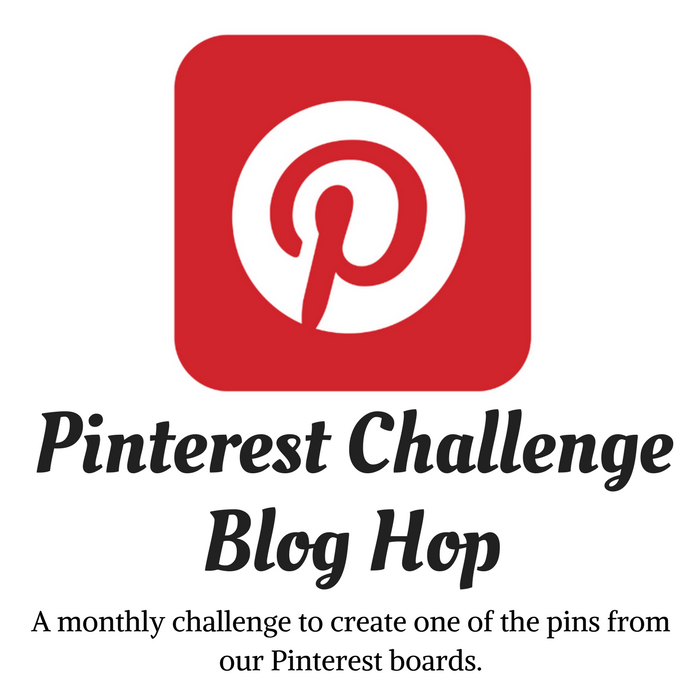 I enjoyed working on the challenge with you this month. Such a great upcycle idea!! I love that material too; it looks so soft. Sound like you had a lot of fun with this project! When I first saw it I thought of a cat I used to have. She was a calico and loved to get into places where only she could fit. She would have been all over this piece. Love this piece and think it would look super cute in our RV (if I ever get around for a major makeover). Would also look a heck of a lot better than my current Walmart footstool cubes I'm using. Very trendy with lots of potential to make this to fit anyone's design style. I want to prop my bare feet on it and wiggle my toes in that fluffy soft fabric! As usual you have created another beautiful piece for your home and you made it look easy too. Love it!! Love this so much, pinning. Very cute! And I had one of those nightstand tables by my bed for years! I think I had a few of those around the house back in the day. What a great idea, Gail! Love the glam MCM vibe it has now! Very cute! That was resourceful of you to stack the round chair cushions to make a taller, fatter stool. What a cute stool! I loved when you said you had the fabric from a sewing project that never materialized....that is definitely me too! My stash keeps growing. 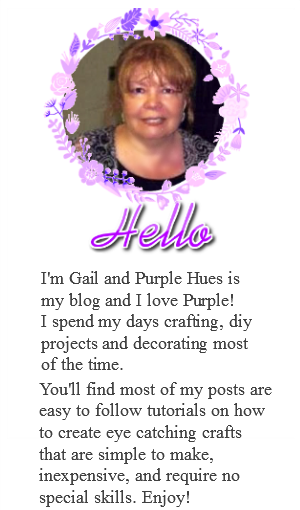 Love it, Gail! I have upholstered chairs before, too. It's amazing what you can do with a little imagination, some aweseme fabric and a nailgun. By the way: My decoupage project worked out great! I only have a YouTube video up so far but I made sure to mention you and your blog for the great tip making the drying stands. Looks so comfy! And haha - I still have one of those tables in my entry to put stuff on like keys and dog leash! That a cute idea and easy way to make a trendy accent piece. Pinned. I have been wanting a furry stool for a while. I love this!